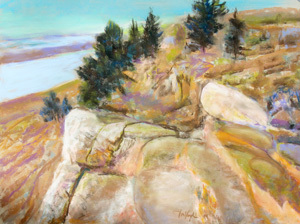 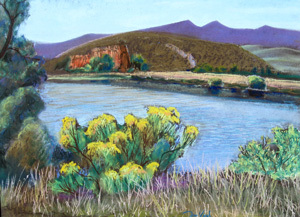 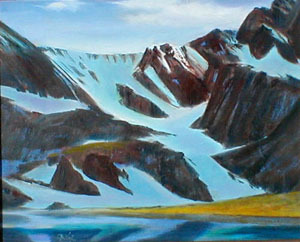 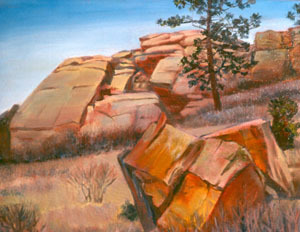 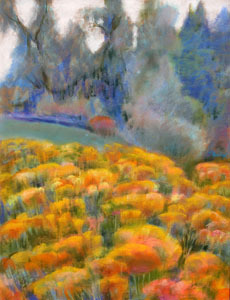 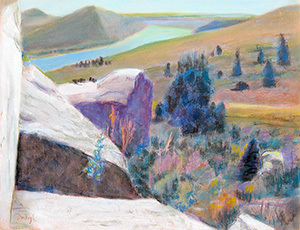 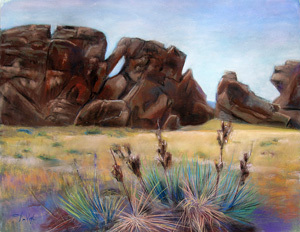 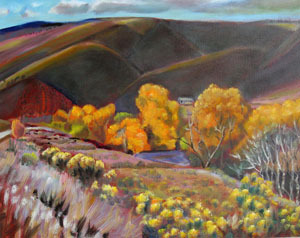 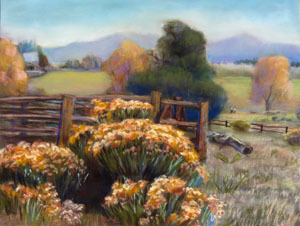 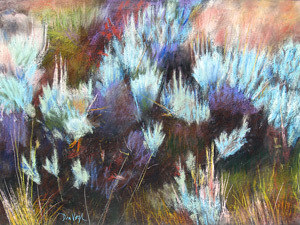 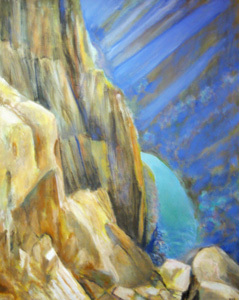 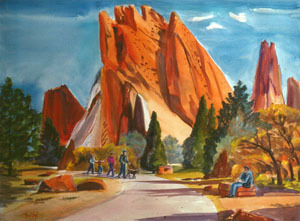 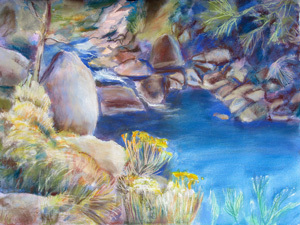 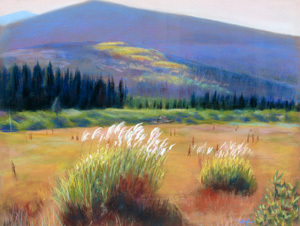 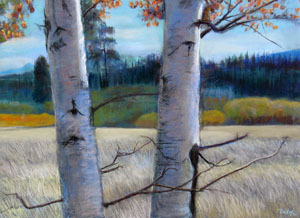 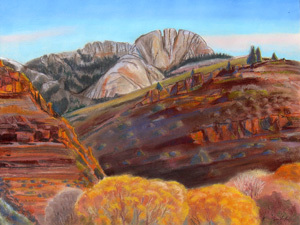 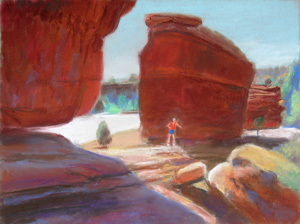 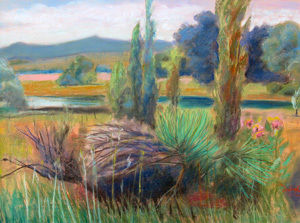 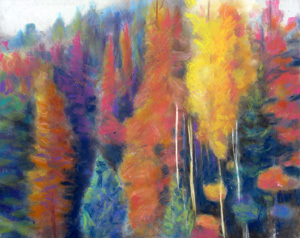 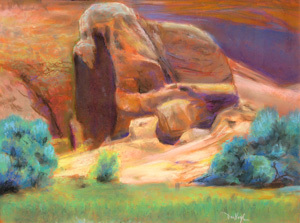 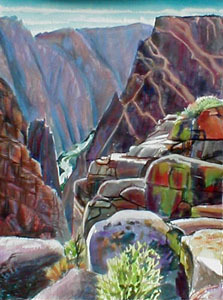 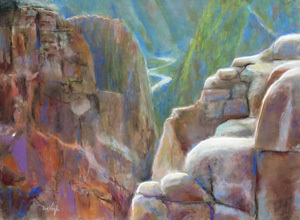 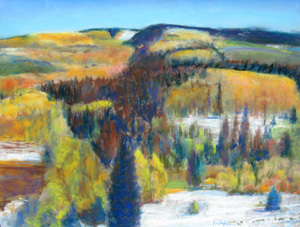 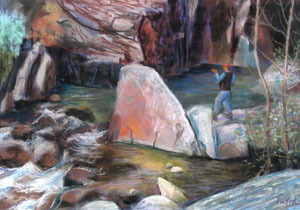 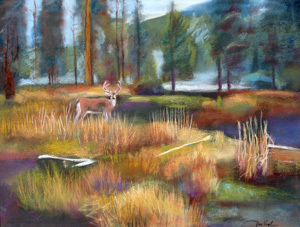 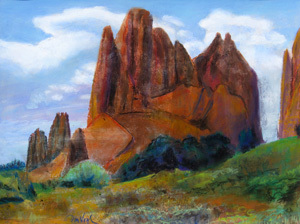 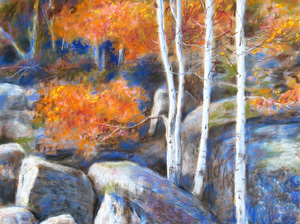 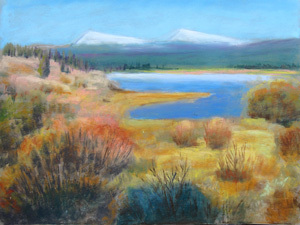 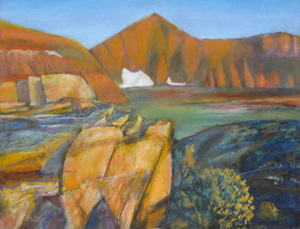 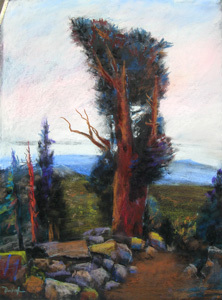 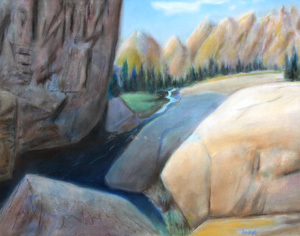 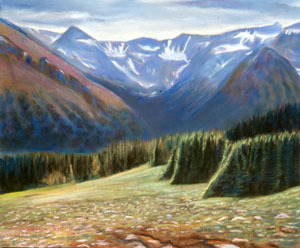 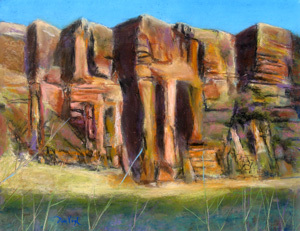 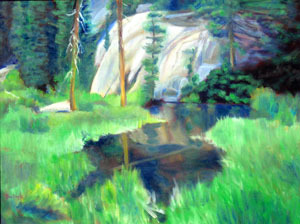 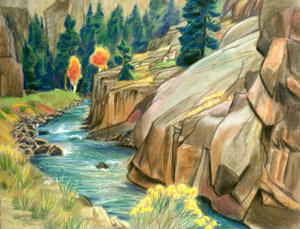 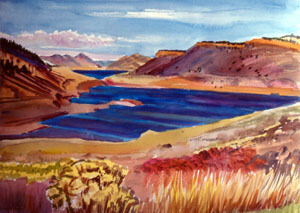 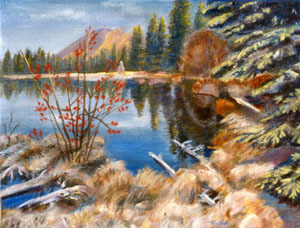 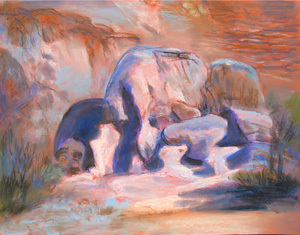 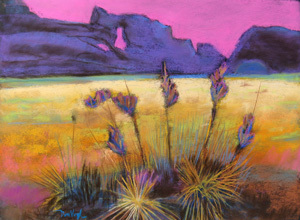 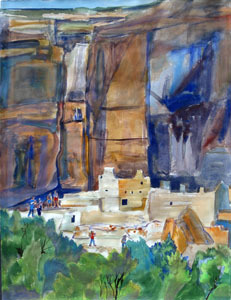 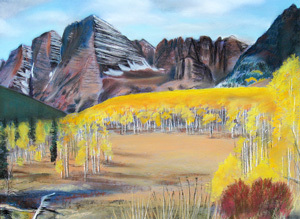 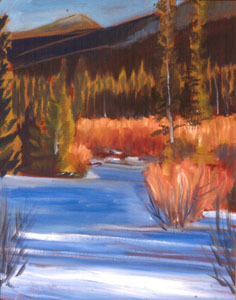 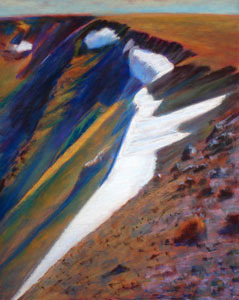 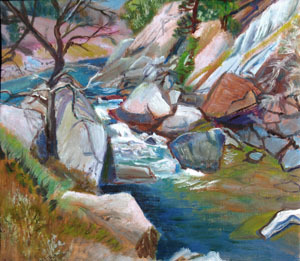 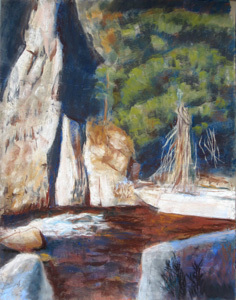 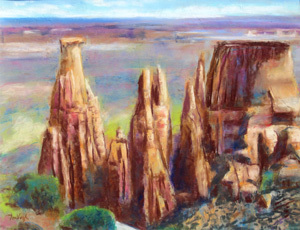 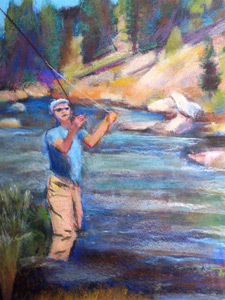 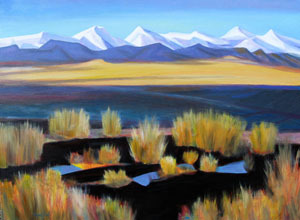 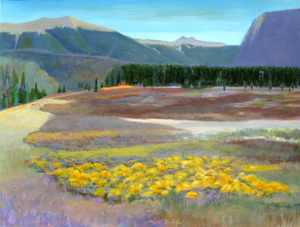 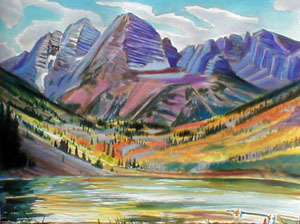 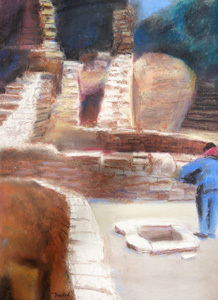 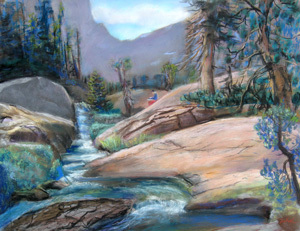 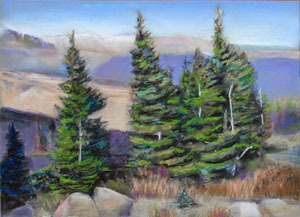 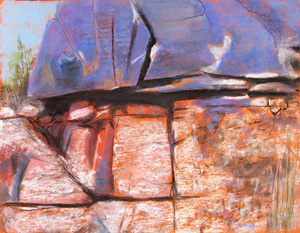 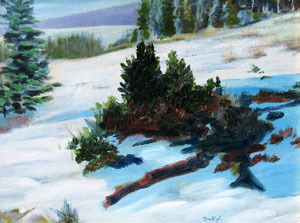 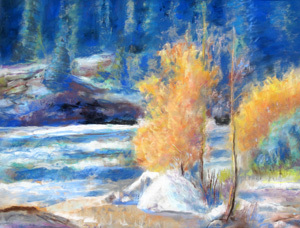 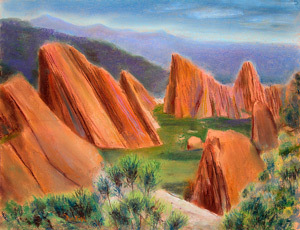 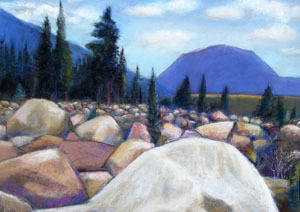 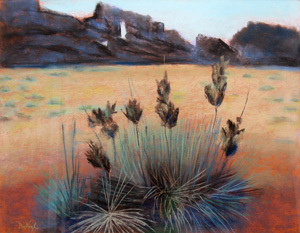 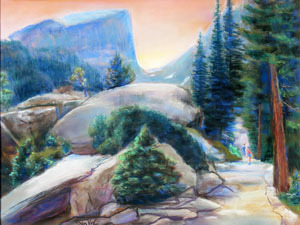 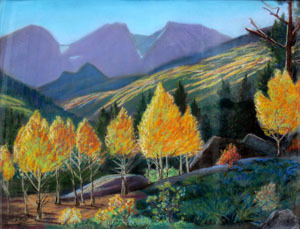 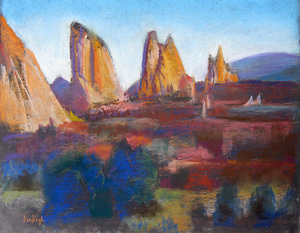 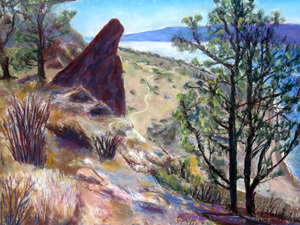 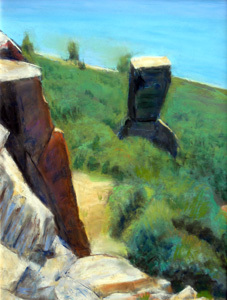 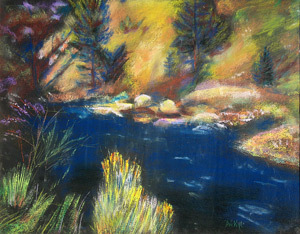 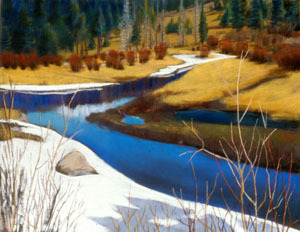 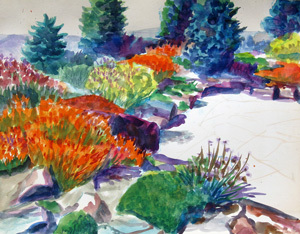 I have traveled to the western United States to paint in the warmer months since the 1980s. 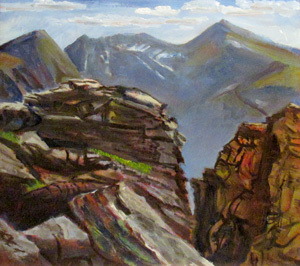 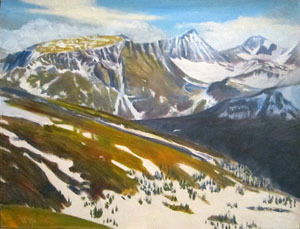 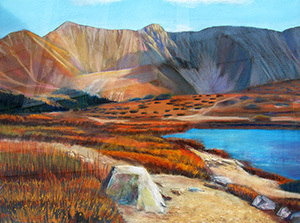 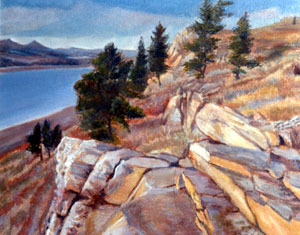 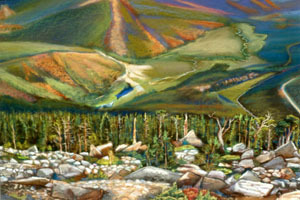 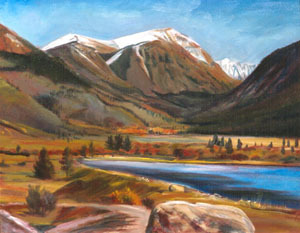 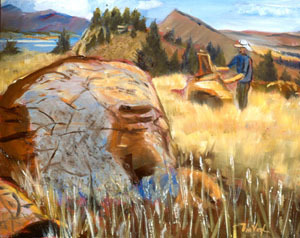 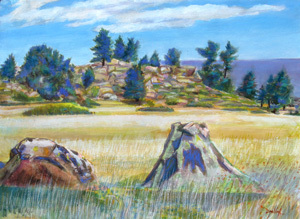 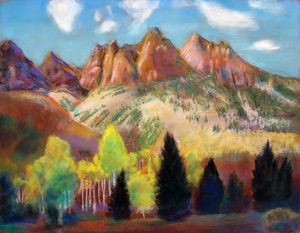 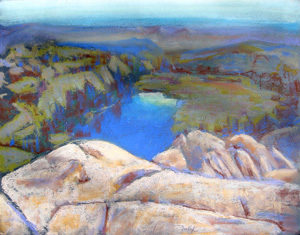 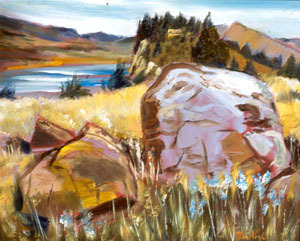 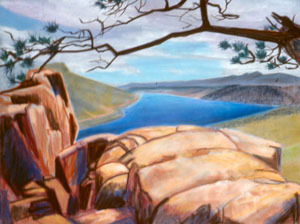 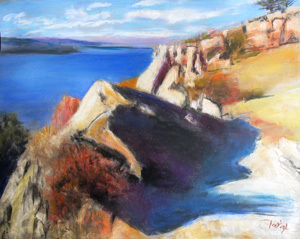 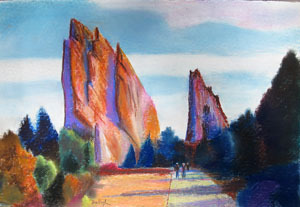 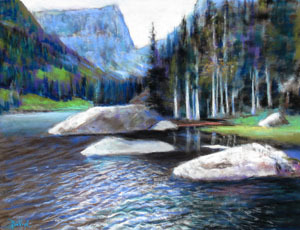 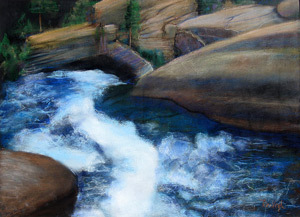 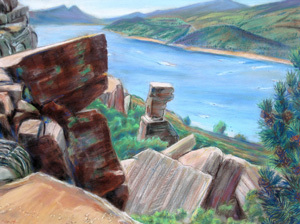 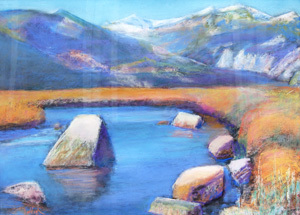 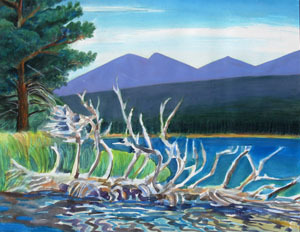 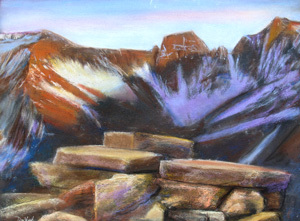 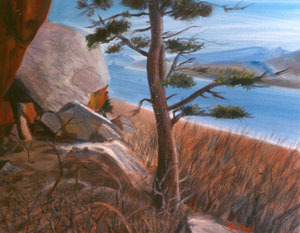 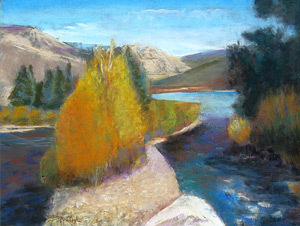 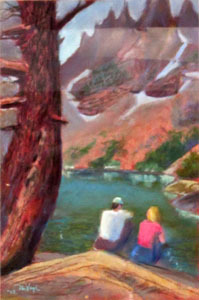 Since I moved to Fort Collins, Colorado in 2003, there have been many opportunities for local painting trips to Horsetooth Reservoir, Rocky Mountain National Park, Colorado, Utah and beyond. 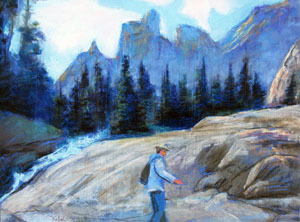 There is an endless variety of rock formations, mountains, streams and lakes to explore. 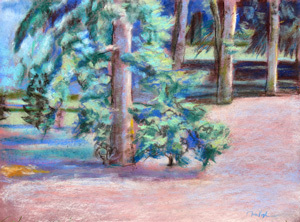 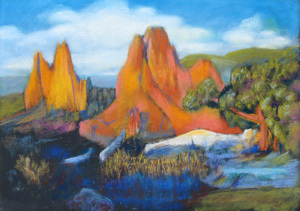 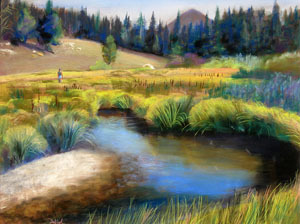 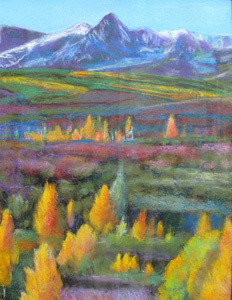 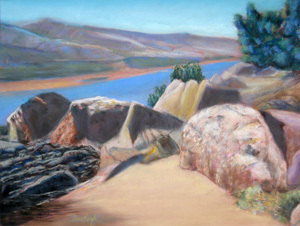 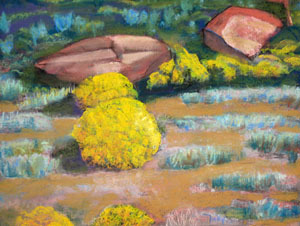 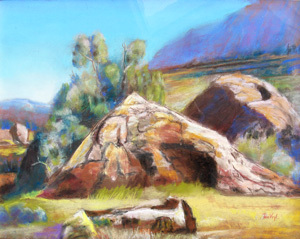 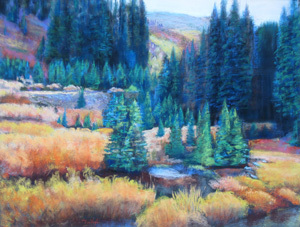 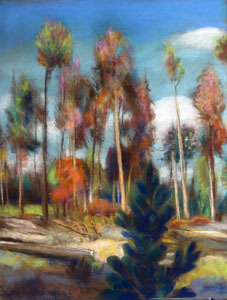 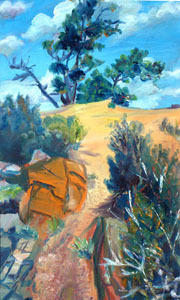 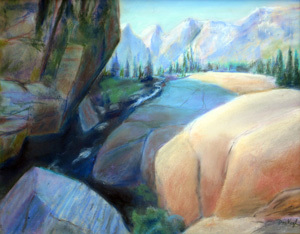 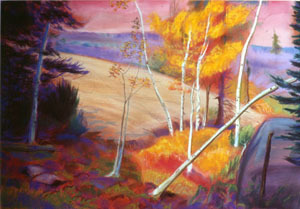 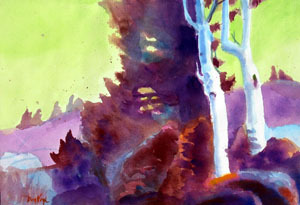 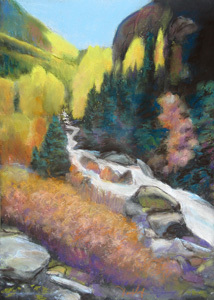 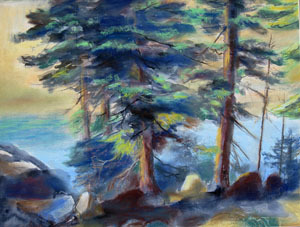 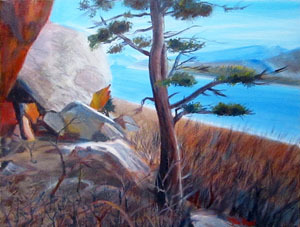 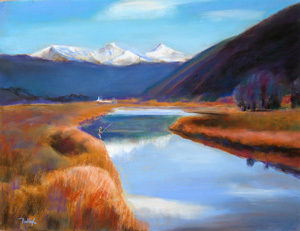 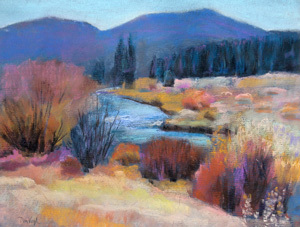 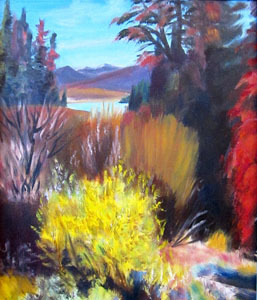 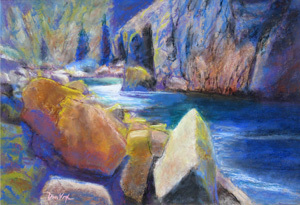 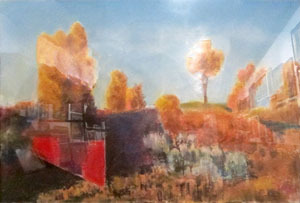 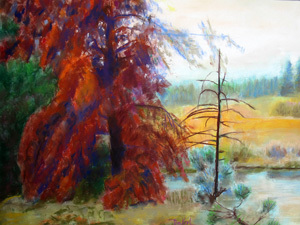 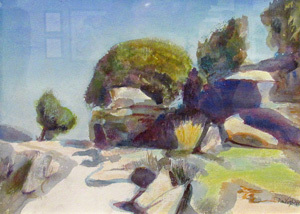 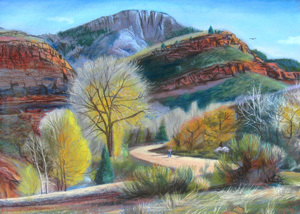 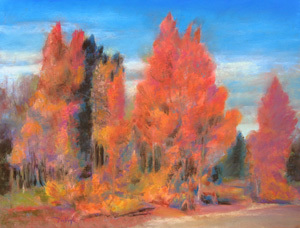 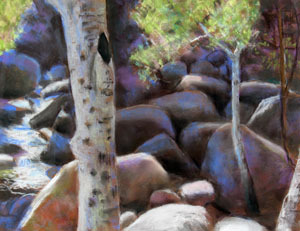 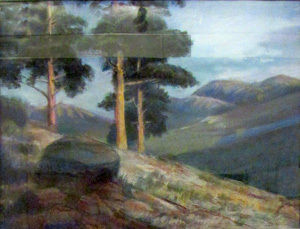 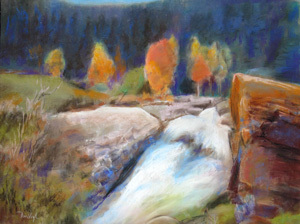 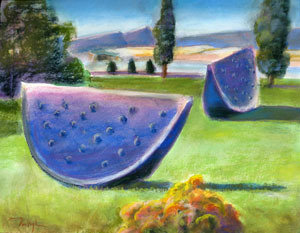 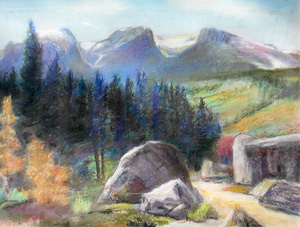 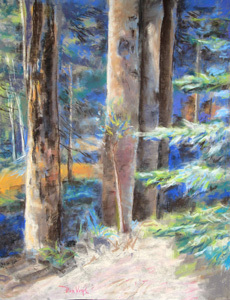 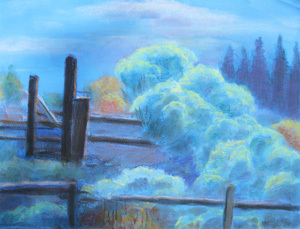 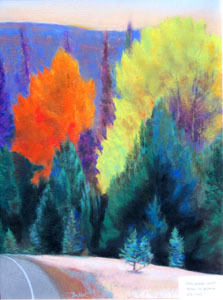 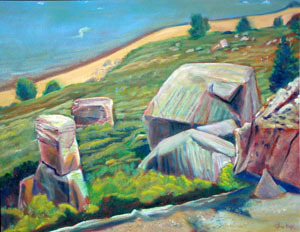 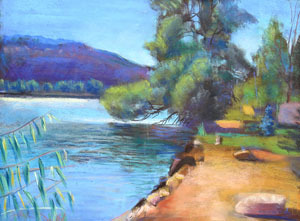 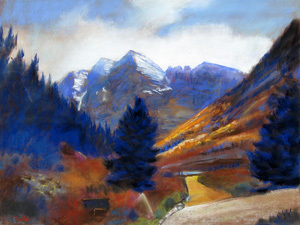 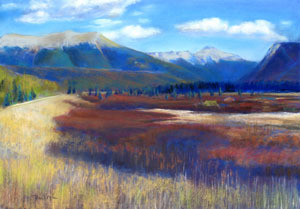 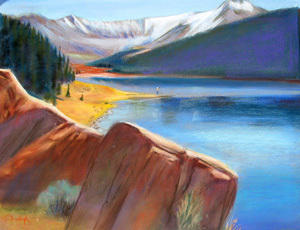 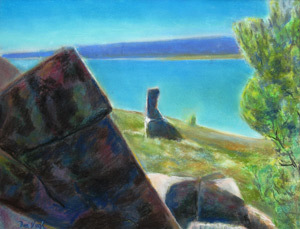 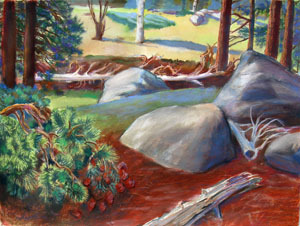 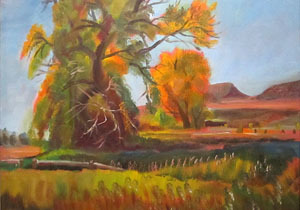 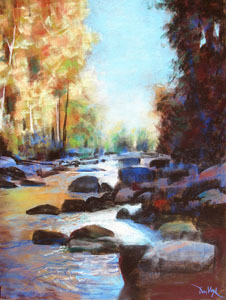 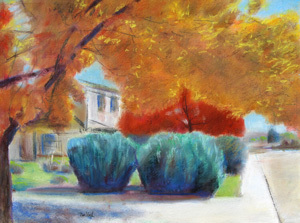 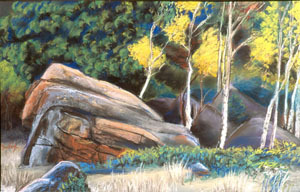 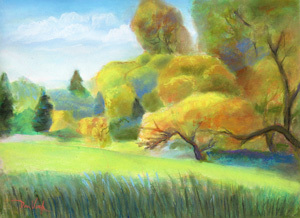 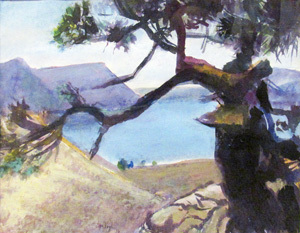 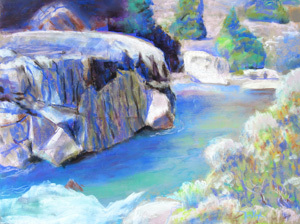 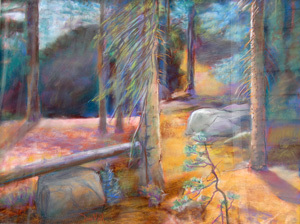 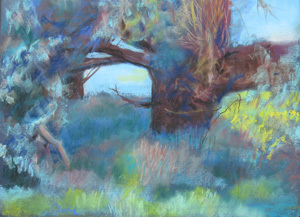 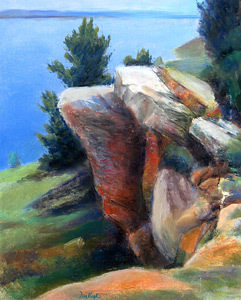 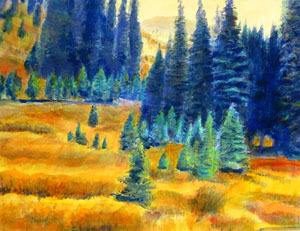 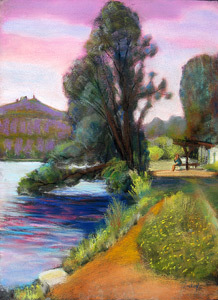 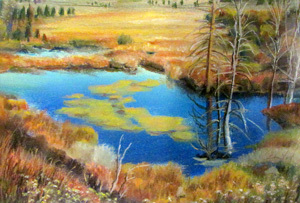 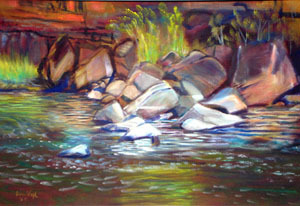 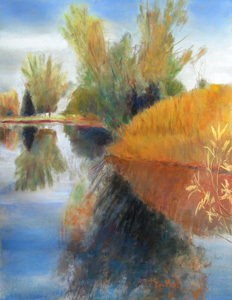 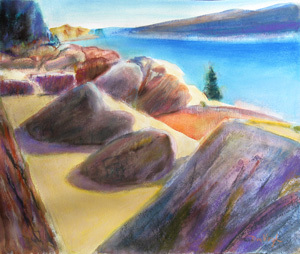 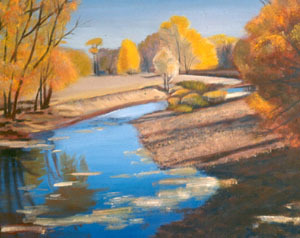 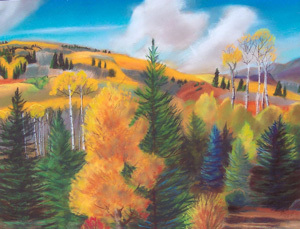 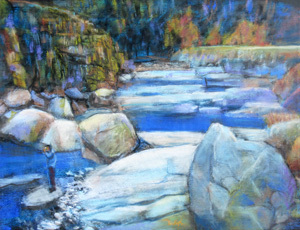 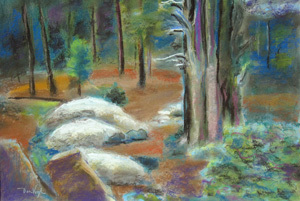 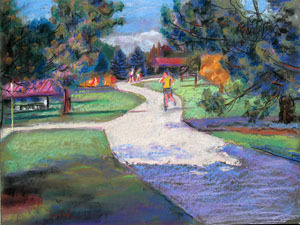 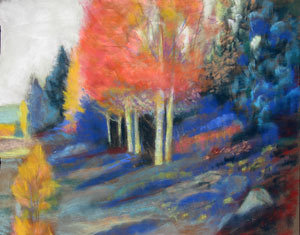 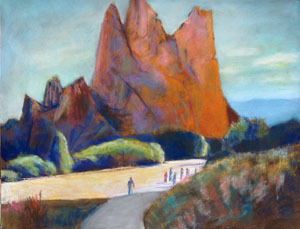 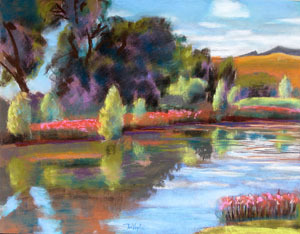 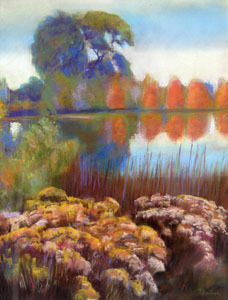 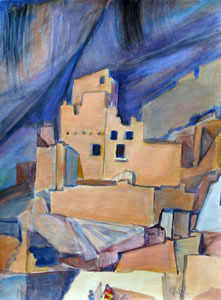 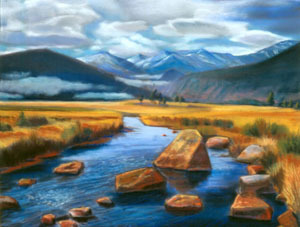 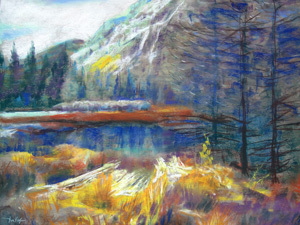 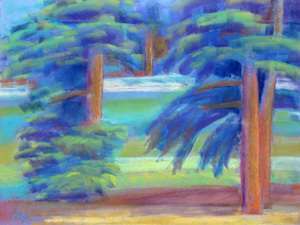 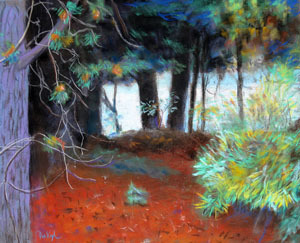 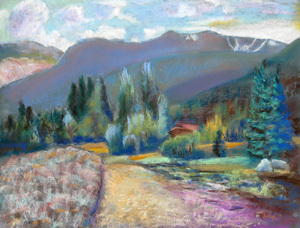 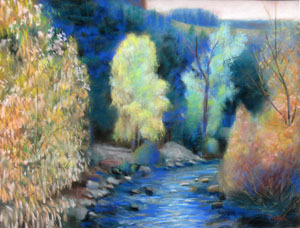 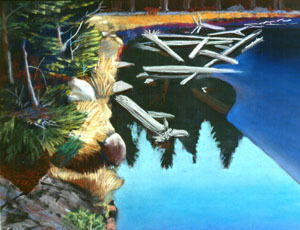 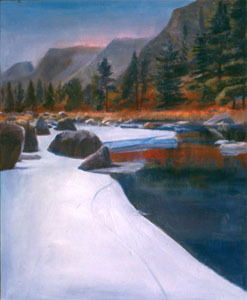 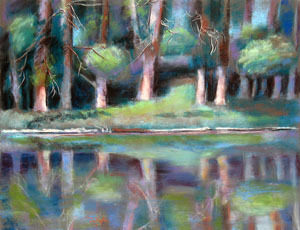 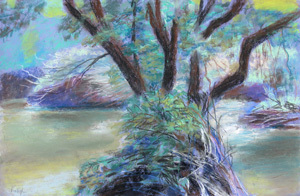 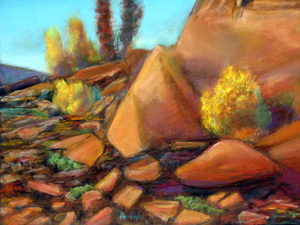 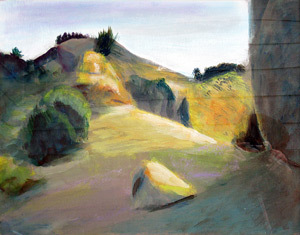 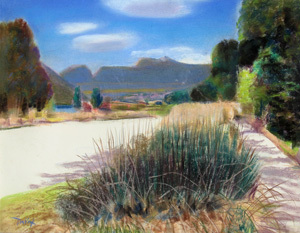 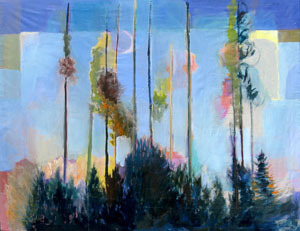 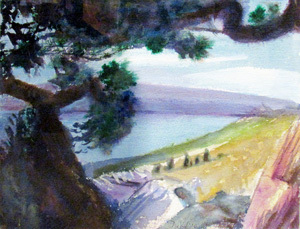 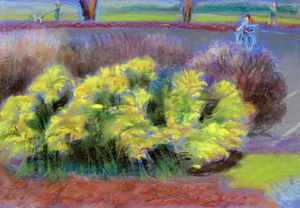 My landscape paintings attempt a soft realism using bright colors and dramatic shadows. 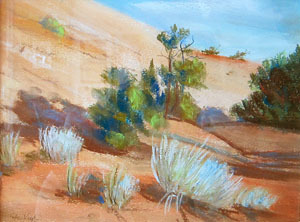 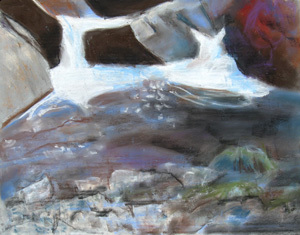 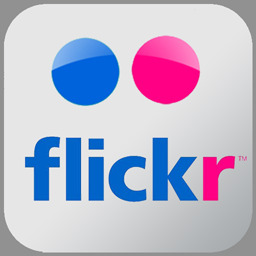 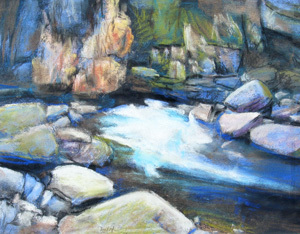 I mostly use pastel, watercolor and oil and prefer to paint on location, though I sometimes paint from photographs.